in a brushed white gold band with a polished yellow gold edge. Three fourth of the band is white gold with a feature baguette centre stone thats approximately .08 ct in total diamond weight and the rest of the band edge in polished yellow gold. Baguette always draws attentions, seeks to be different from the standard square or round diamond. If you like the idea of a predominantly brushed band, prefer a feature stone, then this could be the one you were looking for! 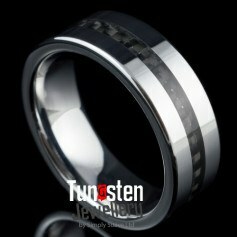 This white gold mens wedding band is a standard width of 7mm. Can be also made in any other metal of your choice. Customize- You can customise this ring. You can have this mens baguette diamond wedder made to a a different width, colour or metal if you prefer or you can also get a matching ring to this made for your partner. Please fill in as much details as you can on our custom make form.